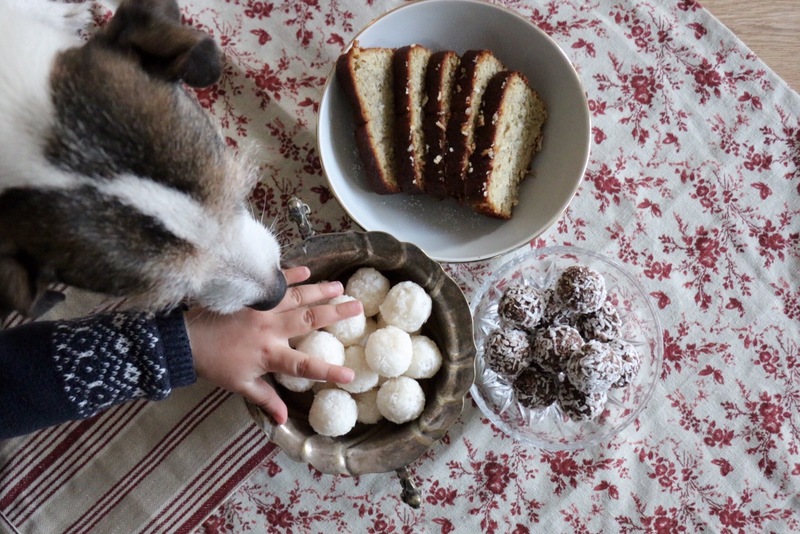 These no-bake banana chocolate balls are a healthier version of the Swedish chocolate balls that are often served in cafeterias in this country. They are milk, sugar and gluten-free and there is no baking involved! I use a hand mixer to make the mixture. Mix to 2 ripe bananas with 3 dl of rolled oats, 2 tablespoons of cocoa powder, 1 tablespoon coffee and 1 dl shredded coconut. It should turn into a thick paste that is easy to roll. Take a spoonful of the mixture and roll between your hands to form a small ball. Roll in the coconut, you will have about 15 chocolate balls when you are finished. Keep them in the fridge if you don’t plan to eat them right away, the will hold for a couple of days. Posted in sweet thingsTagged no-bake, recipesBookmark the permalink.